Every PRO series camera is outfitted with 48 infrared LEDs that will let you view any property from up to 150’ away in complete darkness – equal to the distance of half a football field! All Defender Cameras’ impressive night vision capabilities are tested in perfect darkness at 0 lux, which means range may even be extended in ambient or low-light conditions. easy setup took about 3 hours to run wires and another 1 hour to setup. once you understand what the instructions want it pretty easy. I just bought my system a week ago. Everything is high quality and arrived when promised. System is not yet fully operational but expect everything to be fine. Have tried for the last 1.5 months to get the iphone app to work and gave up. The camera resolution as far as viewing live is fair, but the quality of the recorded feeds are pathetic. The idea of a security system is to be able to refer to the recorded feeds for reference and on the highest settings for the best resolution this unit is a failure. Even an email to Defender themselves told me that is as good as it gets. Don't waste your money on this unit you will be disappointed. I bought this system and we are very happy with it. Customer service was great and the system was east to install. I have been a Defender Security Camera System owner for several years and just a few days ago, I upgraded to the Defender Pro Sentinel Security Camera System. I am amazed at how easy it was to install and set up. Just like the older system, Defender provides easy to follow instructions. My Defender Pro Sentinel System provides me and my family with the comfort of being secure. 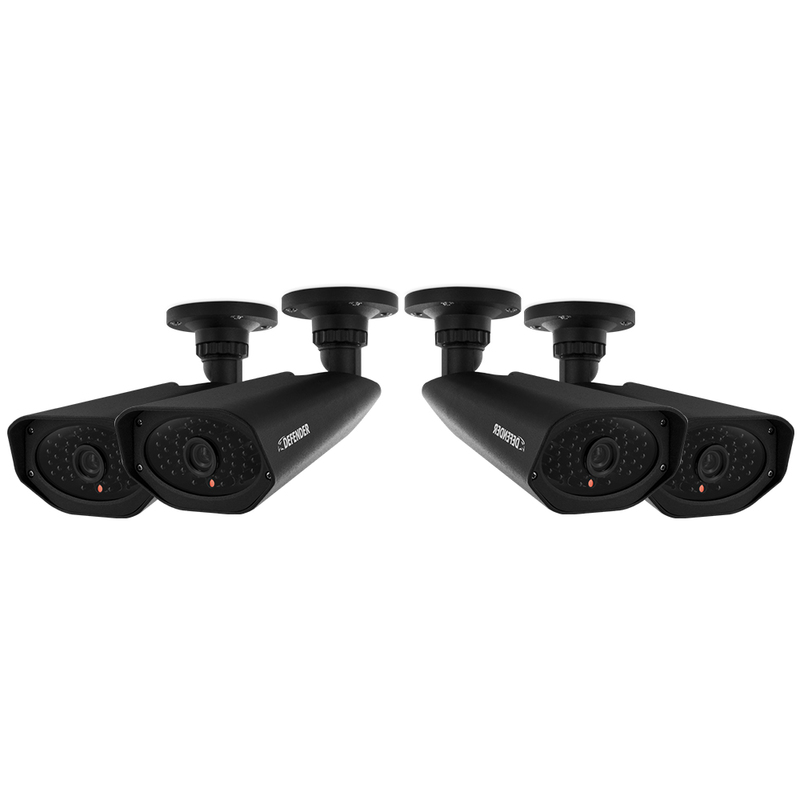 The 800 TVL cameras provide a clear and crisp image and night vision is absolutely incredible! The Defender Tech Support is wonderful also! I had to contact them this morning to help me get set up with the ClearVu mobile app. All I can say is, "Michel, you sir are the man!" He helped me understand everything about the new App and taught me a few things about the Defender Pro Sentinel System. I highly recommend this system to anyone that wants the best! This is a very good unit. I did get a couple faulty cameras out of the 16 but defender stands behind their work and will replace. There support team is awesome as well. I spoke with Michel which has helped me on several occasions before with my older unit. I definitively would recommend this product to a friend. I purchased this system to monitor complex integrated manufacturing equipment so I could record and review the footage in case of a machine malfunction or p.l.c. error. The cameras work great in low light with color without switching to night vision which was a problem with a different Defender system I had purchase in the past. The cameras and DVR work great. 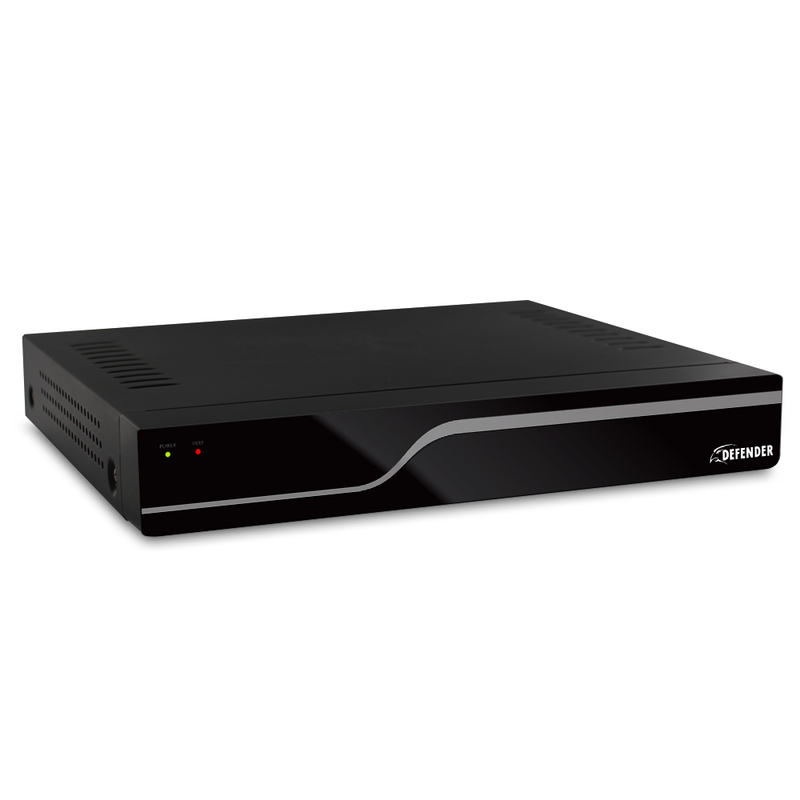 I was disappointed with the PC software package that came with the system so I could patch the DVR into my network and view it remotely at another PC. I ended up dumping the software and hard wiring the second pc directly to the DVR running 125 ft of CAT-5 and VGA cable with a KVM switch. The computer mouse that came with the system and one of the eight cameras were defective. Defender quickly responded to my warranty issue and quickly replaced the defective items. I did not need all the cameras in this set but it was cheaper to buy this set than a smaller set. Overall, for the price, this is a good system, easily installed, and easy to use. MICHEL WAS AMAZING!! We are very happy about the service, cameras, the ability to check on our home when we are away. We could have never gotten set up without his assistance. THANK YOU!! I'm not scared or nor paranoid, but I believe every home & business should have a surveillance system. Already had to use the rewind & view feature to see what happened in a certain situation when I wasn't present to know the circumstances. I like the system other than the android app needs some improvement. I have to turn the DVR off then back on every day or two because it will not load on my phone app. I'm an amateur tech person but was able to get all cameras, DVR up & running. Overall great value for the money cause I did a lot of research before going with this system & brand. This is my second unit that I purchased. They are made of high quality material that is almost vandal proof. The clarity of the cameras is almost as good as the pictures on out television!! This includes the night vision. I had an opportunity to work with the support department, they are very knowledgeable, cooperative and concerned about the customers satisfaction. After looking at many products, I find that the Defender systems provide many extra features that others don't and, for the price, you are purchasing a high quality system!! bought my defender pro system 16 channel a month ago and am very pleased with the overall quality and value! installation was simple and straight forward. I had a little technical glitches when trying to remote view but Michel at tech support walked me through my problem and solution with professionalism and enthusiasm! thanks Michel! We bought the Defender 21152 for our mobile home community and are so happy we did. The installation process was so easy and the mobile installation was a breeze thanks to Daniela who walked me through it. Daniela was very patient and personable. I would recommend this product to anyone. I have just installed the system it's quick and easy. I gave only four stars because the static ip isn't so easy and the website tells you to download a different app than the papers that came with it. I went with the clearvu app ( it's a defender app ) and I like the app because you just scan the image on the dvr , save it, and you're good to go. Great Cameras and Excellent Technical Support! Michel was excellent at helping me access my network for mobile viewing.